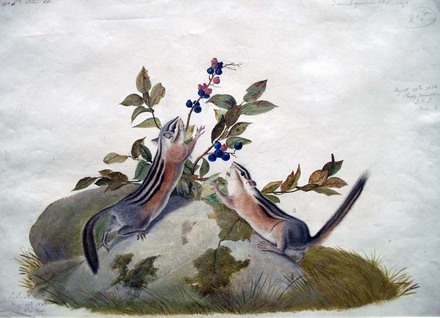 John James Audubon (1785-1851), Tamias Quadrivittatus, Striped Ground Squirrel, 1841. Two pen and watercolor drawings. Gifts of John Stanton Williams, Class of 1925. GC154 John James Audubon Collection. Drawn for Audubon’s Viviparous Quadrupeds of North America. No. 5, Plate 24 (below). The last ten years of Audubon’s life were spent documenting four-legged mammals. He traveled up the Missouri River and around the Southern United States with his collaborator, Reverend Dr. John Bachman (1790-1874). 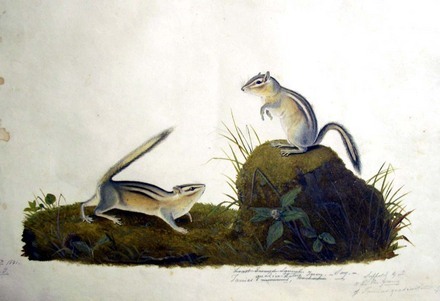 The original folio edition of The Viviparous Quadrupeds of North America (1845-1848) contains 150 colored lithographs executed by the British engraver John T. Bowen (1801-ca. 1856), working in Philadelphia. These prints were made after watercolor drawings, about half of which are the work of Audubon and the other half were by his son, John Woodhouse Audubon (1812-1862). This drawing comes to Princeton thanks to John Stanton Williams (1902-1982, Class of 1925), who also donated Audubon’s shotgun. Mr. Williams was the founder of the Shaker Museum in Old Chatham, N.Y. and an ardent collector of Audubon’s work. Often overshadowed by Birds of North America, the imperial folio edition of The Viviparous Quadrupeds of North America is a scholarly and artistically beautiful work. It was not until 1952 that Quadrupeds came to Princeton University as a gift from Edwin N. Benson, Jr. Class of 1899 and Mrs. Benson, in memory of their son Peter Benson, Class of 1938. Our copy of the first edition (three volumes) was bound at Newcastle-upon-Tyne, stamped M.P. 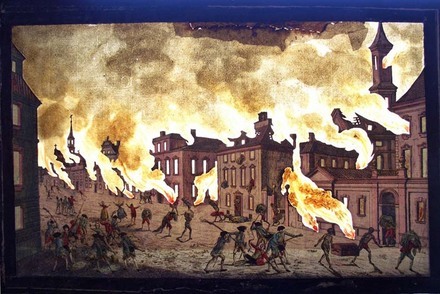 Franz Xaver Habermann (1721-1796), [Representation de feu terrible a Nouvelle Yorck], 1776. 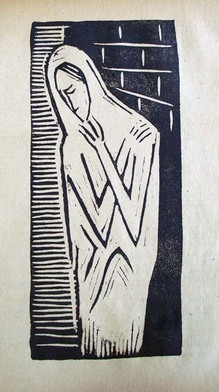 Cut and painted etching. 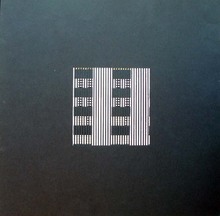 Graphic Arts GA 1995.00006. On September 15, 1776, George Washington and his men were forced to retreat to the northern end of Manhattan, leaving New York City in the hands of the British. Six days later, a series of fires destroyed one quarter of lower Manhattan leading to claims of arson. While it is true that Washington’s men melted the warning bells to make bullets, Washington claimed to have no other responsibility. 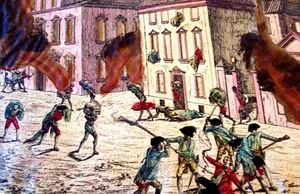 This is one of a number of perspective prints or vues d’optique depicting scenes from the American Revolution. The images of New York City, Boston, and other American cities are imagined scenes, drawn by various artists and etched by the German printmaker Franz Xaver Habermann (1721-1796). Perspective prints were usually titled in several languages and marketed in Paris, Augsburg, London, and elsewhere. Princeton’s copy was once framed to fit a viewing box. 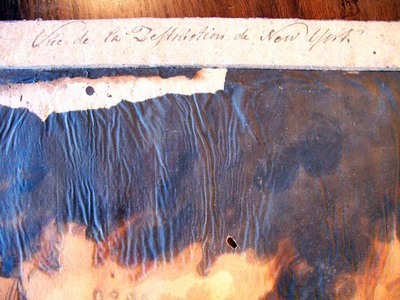 It no longer has a title or caption along the bottom of the image (although there is a hand-written note on the verso). 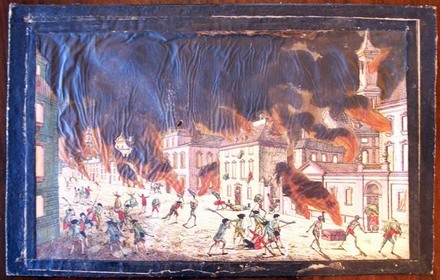 The original title in French was Representation de feu terrible a Nouvelle Yorck and in German Schröckenvolle Feuersbrunst welche zu Neu Yorck. 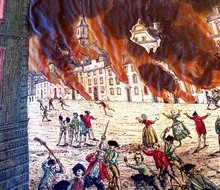 The English translation is The Great Fire in New York. 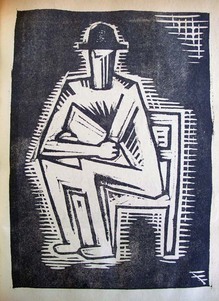 There are 146 chapbooks noted online in Princeton’s Rare Books and Special Collections. Certainly there are many more without any special genre heading. 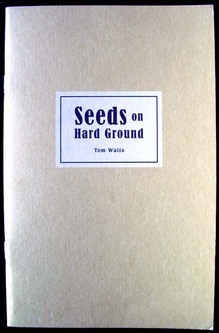 Our newest addition is a chapbook by the musician Tom Waits entitled Seeds on Hard Ground (2011). 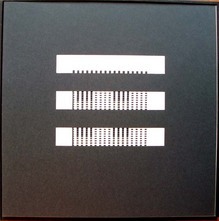 to 1000 copies in North America. The street date will be February 28th.” Ours came yesterday. 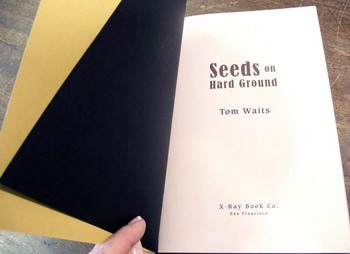 Tom Waits is releasing Seeds On Hard Ground in collaboration with his label Anti records to raise funds for homeless services in his region and to bring attention to a growing problem in today’s hard times. A book of photographs by Michael O’Brien and poetry by Waits entitled Hard Ground is scheduled for release later this year. 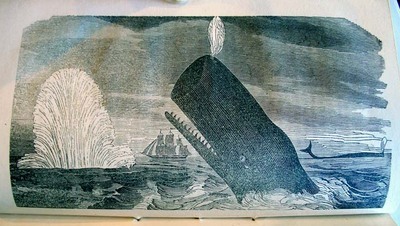 According to Dexter, the whaling brig William and Joseph departed Holmes’ Hole on August 2, 1840 in search of sperm whales. They stopped briefly at the Azores and Capre Verde islands before sailing to the West Indies, where they stopped to restock the ship. In September 1841, the William and Joseph set sail for Boston with 200 barrels of oil. A month later, they were caught in a storm and the ship first capsized and, ten minutes later, righted itself but with significant damage. Over the next week two sailors died and the cargo was lost. 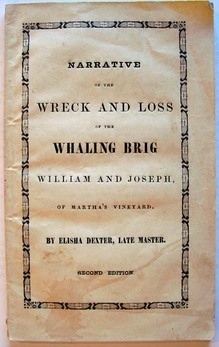 Elisha Dexter had a financial interest in the ship and published this narrative to recoup his losses. OCLC notes only one institutional copy of Dexter’s first edition and ten of the second, enlarged and improved edition. This acquisition will make it eleven. Jonathan Swift (1667-1745) wrote the satirical household manual Directions to Servants in 1745 (RHT 18th-581) and eight years later, Jane Collier (1715?-1755) followed with An Essay on the Art of Ingeniously Tormenting (Ex 3684.585.333). Her anti-etiquette handbook provided advice on how to nag and was quickly reprinted six times. 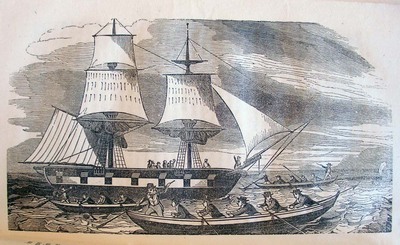 In 1809, an illustrated edition was planned by the popular print publisher Thomas Tegg (1776-1846). 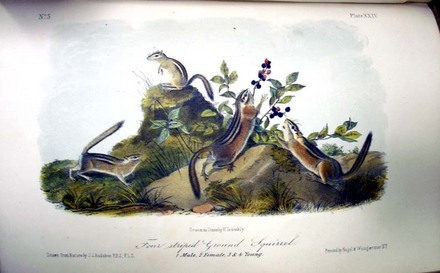 The new, corrected, revised, and illustrated Essay featured five plates designed by George Moutard Woodward (1760-1809). 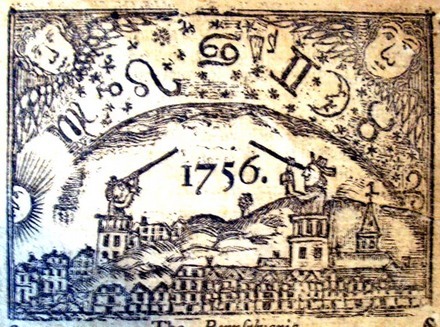 A folded frontispiece was etched by Thomas Rowlandson (1756-1827) after Woodward’s drawing (GA Rowlandson 1808.11). Woodward’s frontispiece, as described by Joseph Grego (1843-1908), includes a Savoyard with a barrel-organ and a troop of dancing dogs; a Frenchman with a dancing bear; and a showman dragging a dromedary, with a monkey perched on its back pulling the animal’s ears. Everyone is taunting or torturing someone else. 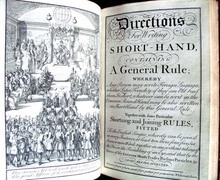 Graphic Arts has copies of the print in the bound volume, as a separate sheet, and in Caricature Magazine, or Hudibrastic Mirror, another project on which Woodward, Rowlandson, and Tegg were collaborating in 1808. (GA Rowlandson 1807.5f). In a single year, the price of the South Sea Company stock rose to £1,000 per share and then, dropped to £150. People from all walks of life lost money, sometimes everything they owned, leading to a country-wide frenzy. In the following year, there were reports of widespread fraud. Poems were written and caricatures were drawn satirizing the many fools who were caught up in the South Sea Bubble. The fools were known as the Bubblers. 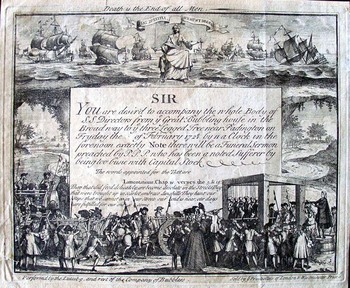 In the top center of this satire on the South Sea Company stock collapse is a man behind bars with a begging pot. 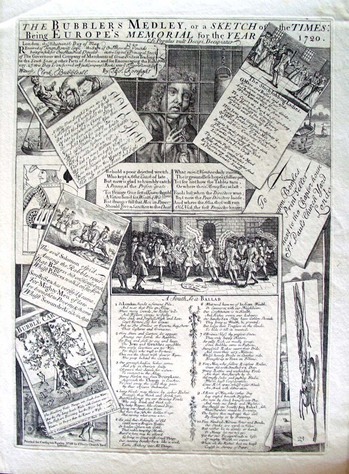 The rest of the sheet is filled with trompe l’oeil ballad broadsides, presenting overlapping stories about people who lost their fortune in the scandal of 1720. 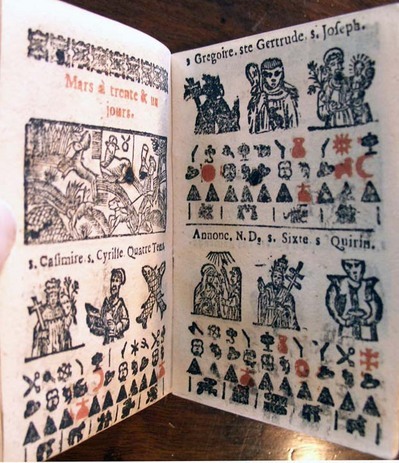 At the bottom right is an anamorphic image of a man on a horse, perhaps a coded message to escape if you can. 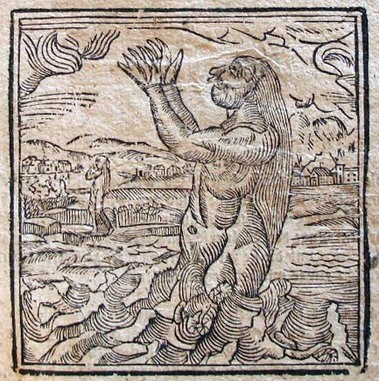 This news pamphlet, illustrated with a large woodcut of a merman, gives an account of a sea monster, who supposedly appeared off the coast of Dalmatia near the city of Ragusa, present day Dubrovnik, in October 1795. He was a giant with long flowing hair who walked out of the water and spent time roaming the coast, all the while screaming and gesticulating. He was said to have eaten several young boys. 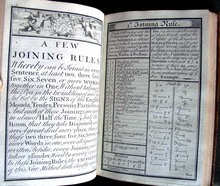 James Weston (1688-1751), Stenography Compleated, or The Art of Short-Hand Brought to Perfection; Being the Most Easy, Exact, Lineal, Speedy, and Legible Method Extant … (London: Printed for the author, 1727). 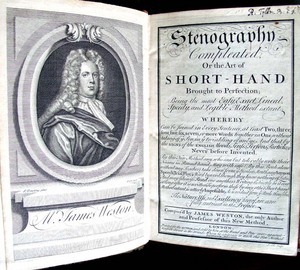 James Weston (1688-1751) was a London teacher and practitioner of stenography. He published four books, here together in one volume, presenting his own geometrical system of short-hand. George Cruikshank (1792-1878), Polly and Lucy Takeing Off Restrictions, Vide Beggar’s Opera, 1812. Hand-colored etching. Graphic Arts Cruikshank Collection. Gift of Richard W. Meirs, Class of 1888. John Gay (1685-1732) wrote The Beggar’s Opera in 1728 to lampoon the Whig statesman Robert Walpole, and politicians in general, as well as the notorious criminals Jonathan Wild and Jack Sheppard. 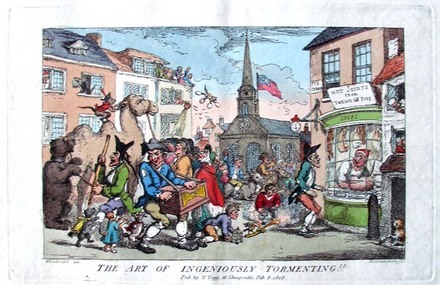 In 1812, George Cruikshank (1792-1878) brought the story into the nineteenth century with his etching Polly and Lucy Takeing [sic] Off Restrictions, Vide [referring to] Beggar’s Opera. 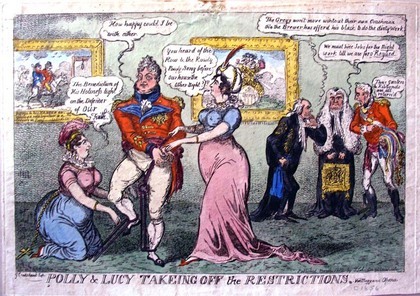 In Cruikshank’s satire, the Prince Regent (later King George IV) is seen as the highwayman Macheath, standing between Maria Anne Fitzherbert (1756-1837) as Polly Peachum, on the left, and Lady Hertford (1760-1834) as Lucy Lockit, on the right. They are undoing the restraints put on the Prince/Macheath, who had been committed to Newgate Prison. Like Macheath, the Prince had been shackled with terms of the Regency Bill, passed on February 4, 1811, which limited the Regent’s powers. These restrictions expired February 1812 and Cruikshank finished his print the following month. Mrs. Fitzherbert, like Polly, was married to the Regent and here represents the Catholic interest or the Opposition. According to the Cambridge History of English and American Literature (v. 18), the first Shepherds’ Calendar was printed in 1491 by Guyot Marchant, whose workshop was in the Latin Quarter of Paris. 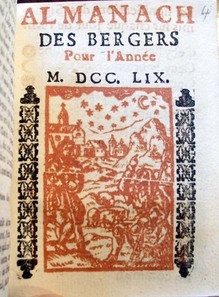 The work was entitled Kalendrier des Bergiers and it was the first illustrated French almanac. 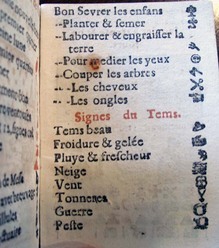 In Honoré de Balzac’s 1843 novel Illusions Perdues (Lost Illusions), the Shepherds’ almanac plays a small role: “After rummaging round the workshop Eve discovered a collection of figures required for the printing of a so-called Shepherds’ Almanac, in which objects are represented by signs, pictures, and symbols in red, black, and blue. 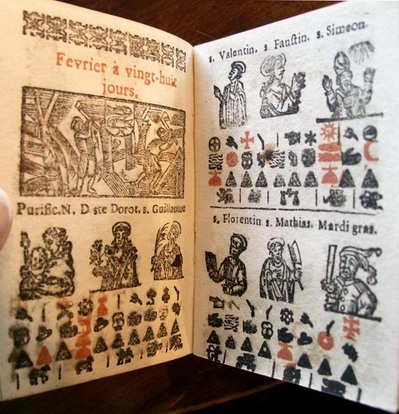 Old Séchard, illiterate as he was, had formerly made a lot of money by printing this little book intended for equally illiterate people. An almanac of this kind costs only a penny and comprises a hundred and twenty-eight pages of very small format. Delighted at the success of her broadsheets—the sort of production which is a specialty with small provincial presses—Madame Séchard decided to print the Shepherds’ Almanac on a large scale by putting her profits into it.” (translated by Herbert James Hunt). 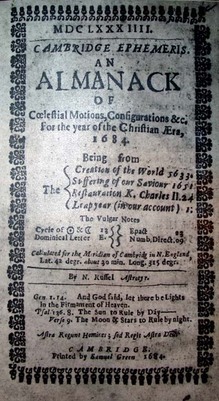 This book comes bound with Almanach pour cette Année M. DCC. LIX. Supputé par Mtte Mathieu Laensbergh Mathematicien (Liege: G. Barnabe, 1759); and Pronostication particuliere pour l’an de notre Seigneur 1759. Par M. Mathieu Laensbergh, Mathematicien (Liege: Guil. Barnabe, 1759); and Continuation des choses les plus remarquables arrivées par toute l’Europe & autres parties du monde, depuis le mois de Septembre de l’An 1757. jusqu’audit mois de l’An 1758 (Liege: V. G. Barnabe, 1759). Dieter Roth (1930-1998), Book AC 1958-1964 ([New Haven, Conn.]: Ives-Sillman, 1964). 24 sheets of black and white cut paper. 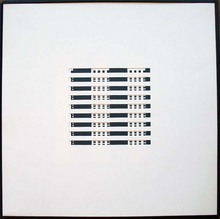 Copy 9 of 250. Graphic Arts GAX 2011- in process. Book AC is a sequential cut-paper narrative in two-color squares that can be rotated and flipped in all directions. 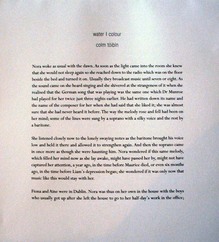 With each turn of the page, a new image is uncovered, offering each reader a unique visual narrative. 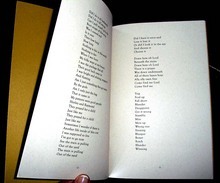 It was while living in Iceland during the 1950s that Roth began creating handmade books, which can be divided into either fixed (bound) sequences or open architectures. 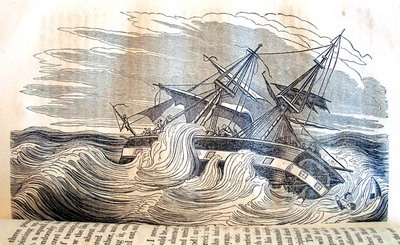 I recommend reading Michael Winship’s recent article “Pirates, Shipwrecks, and Comic Almanacs: Charles Ellms Packages Books in Nineteenth-Century America,” in Printing History (N.S. no. 9, January 2011): 3-16. 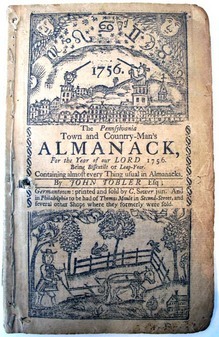 In it, he discusses the earliest almanacs in the United States and the development of the comic almanac specifically. As well as a few pirates. 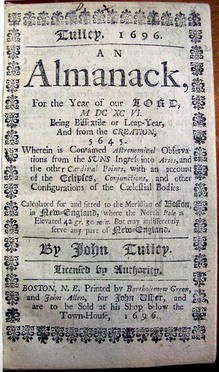 I prefer American almanacs from the eighteenth century, when the woodcuts become more plentiful, such as seen here with our: John Tobler (1696-1765), The Pennsylvania Town and Country-Man’s Almanack for the Year of our Lord 1756 (Germantown [Pa.]: Printed and sold by C. Sower jun., ). 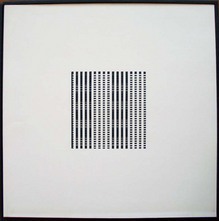 Graphic Arts Collection (GAX) Hamilton 34. Michael Winship is the Iris Howard Regents Professor of English II at the University of Texas at Austin and editor of the final three volumes of the nine-volume Bibliography of American Literature. He is the author of American Literary Publishing in the Mid-Nineteenth Century: The Business of Ticknor and Fields (1995) and has published widely on the nineteenth-century American book and publishing trades. Artist and historian Mikhail Karasik used old newspaper and literary sources to shed light on the legendary trip to Russia made by Filippo Tommaso Emilio Marinetti (1876-1944), the founder of Futurism. Instead of acquiring pupils and associates for his movement, Marinetti found himself up against sabotage and misunderstanding. 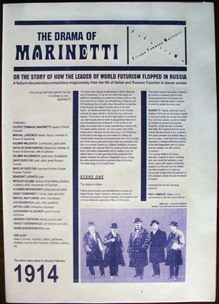 The Russian Futurists not only refused to recognize Marinetti as their leader but sought to enlarge their own branch of Futurism. 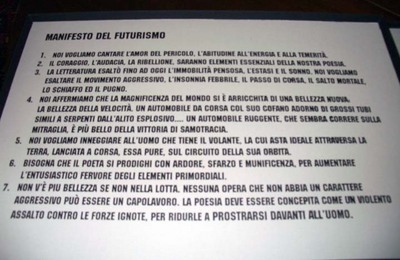 It was only towards the end of Marinetti’s trip that the situation improved but the result was the realization that Russian and Italian Futurism had little in common. Italian Futurism promoted urbanism, the cult of technology and machines, and the destruction of tradition and old culture. 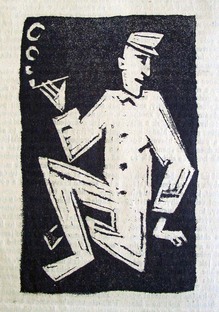 Russian Futurism focused on folk culture and the Russian icon. According to Karasik, after the October Revolution, Futurism’s political direction also changed. The Russian branch became Communist (Komfutu was a Communist Futurist organization led by Mayakovsky), while Italian Futurism turned to Fascism. 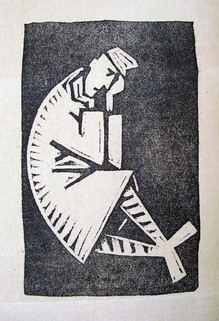 The poet, critic, and translator Stanislav Kostka Neumann (1875-1947) founded his first magazine Nový kult (The New Cult) in 1897. 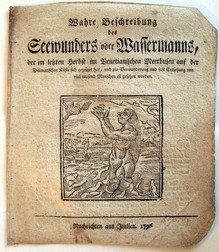 In the early twentieth century, Neumann concurrently edited the eclectic magazine Kmen (Clan) and the literary journal Cerven (June). 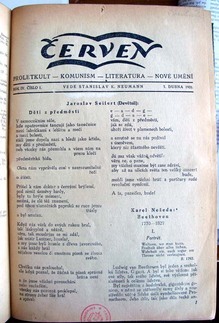 Cerven ran from 1918 to 1921 with masthead mottos like “Proletkult—Communism—Literature—New Art,” publishing the first Czech translations of Apollinaire and Kafka. 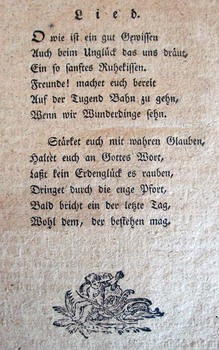 According to Derek Sayer’s The Coasts of Bohemia, Neumann was a perpetual enfant terrible of Czech letters. 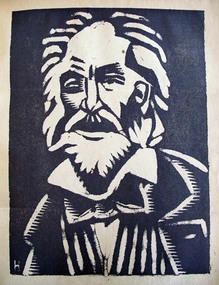 In addition to his own poetry, he was behind two of the key modernist manifestos, both influential in their day, the Almanac of the Secession (1896) and the Almanac for the Year 1914. This winter, the Sean Kelly Gallery in New York City mounted an exhibition of a collaborative project between an artist and a writer. 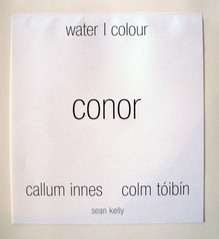 Watercolors by the Scottish painter, Callum Innes, were exhibited alongside excerpts from the short story that inspired them, water | colour, by the Irish writer Colm Tóibín. 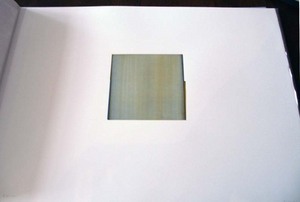 According to their press release, the gallery introduced Innes and Tóibín in February 2010. A long-time admirer of Innes’s work, Tóibín spoke at length with Innes about the artist’s watercolors during their initial meeting. The conversation was continued at Innes’s studio in Edinburgh last summer. As their creative connections became apparent and their friendship grew, the gallery asked Tóibín to write an essay in response to Innes’s works on paper, a request that led to Tóibín’s short story water | colour. 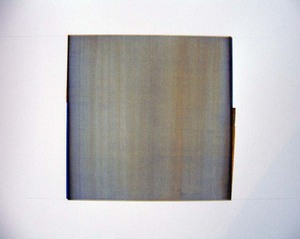 After reading Tóibín’s text, Innes created a new body of watercolors based on it. Tóibín’s text tells the story of Nora, a middle-aged housewife struggling with the recent death of her husband and its effect on her family. Tóibín elegantly weaves a poignant tale of loss, depression and, ultimately, the promise of healing, placed against the backdrop of the unique colors of the Irish shoreline. Not only did the gallery produce an exhibition catalogue with the text and reproductions of the watercolors, but they also published ten unique livres d’artistes, with the complete short story and five original watercolors by Innes. Each of the deluxe, hand-bound books is named after one of the characters in the story. Graphic Arts is fortunate to have acquired conor. 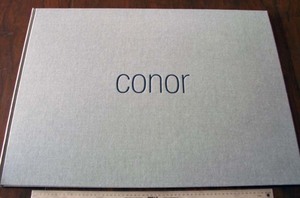 Colm Tóibín and Callum Innes, conor, from the series water | colour (New York: Sean Kelly Gallery, 2010). Graphic Arts GAX 2011- in process. Colm Tóibín is currently the Leonard L. Milberg ‘53 Visiting Lecturer in English and Creative Writing in the Lewis Center for the Arts, Princeton University. If you are a fan, another original story by Tóibín can be found in the current issue of the Princeton University Library Chronicle 72, no.1 (autumn 2010). Stéphane Mallarmé (1842-1898). L’après-midi d’un faune. Églogue (The Afternoon of a Faun. Eclogue)… avec frontispice, fleurons & cul-de-lampe [par Édouard Manet]. Paris: Alphonse Derenne, 1876. 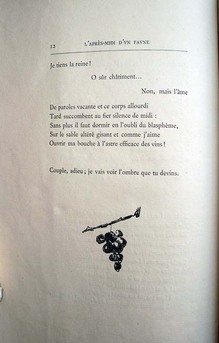 Signed by Mallarmé. Copy 57 of 195. Purchased with funds provided by the Friends of the Princeton University Library. Graphic Arts GA 2011- in process. 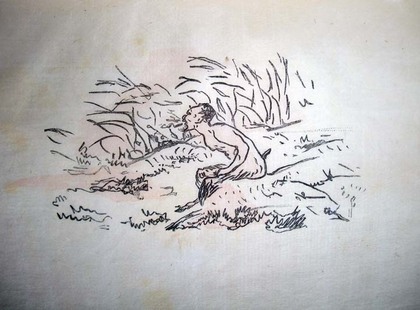 In 1865, Stéphane Mallarmé composed a poem about the sensual experiences of a faun who wakes from an afternoon nap and recounts his encounter with several nymphs earlier in the day. 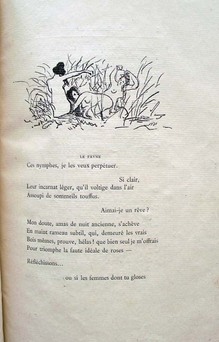 Originally titled Le Faune, intermède héroique (The Faun, a Heroic Intermezzo), Mallarmé submitted it to the Théâtre-Français, only to be rejected. Ten years later, the work was again rejected, under the title Improvisation d’un Faune, by Alphonse Lemerre, who had previously published Mallarmé work in Parnasse contemporain. 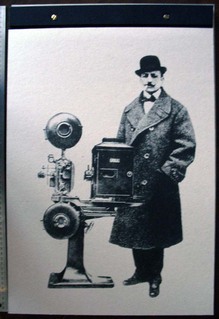 Mallarmé left Lemerre and found Alphonse Derenne, a publisher of medical books who wanted to expand his business. 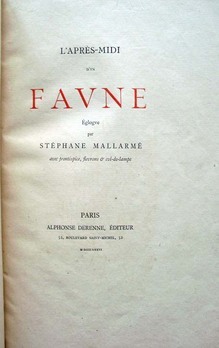 Under the title L’après-midi d’un faune, Mallarmé’s pastoral was finally published in April 1876. 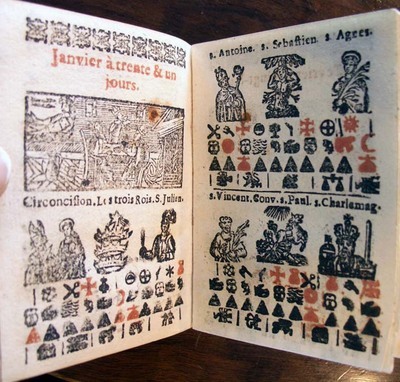 The text was printed in specially designed Elzevir type—175 copies on Van Gelder Holland paper and 20 on Imperial Japon—with particular attention to typography, spacing, and punctuation. His best friend, Édouard Manet (1832-1883), created four wood-engraved embellishments that were printed in black and hand tinted in pink by Manet himself to save money. 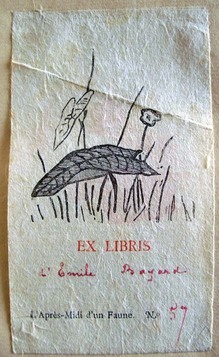 Princeton’s copy contains an ex libris with a vignette by Manet mounted on the blank leaf preceding the half title, inscribed with the name of the original owner, the French artist and draftsman Émile-Antoine Bayard (1837-1891). He is best known today for his illustration of Cosette from Les Misérables by Victor Hugo, reused for the Broadway musical by the same name. Although Mallarmé is a seminal figure of our modern literary heritage, few editions of his own work were published during his lifetime. Princeton University Library holds 149 editions by Mallarmé but only five published before his death in 1898 and the majority of these are his critical studies of other artists. Rare Books and Special Collections owns the 1889 edition of Les poèmes d’Edgar Poe, translated by Mallarmé with illustrations by Manet. We also have the 1956 translation of L’après-midi d’un faune by Aldous Huxley and a German/French edition from 1975. Mallarmé’s work would become the inspiration for many musical pieces, the most prominent of which was Claude Debussy’s Prélude à l’après-midi d’un faune (1894), a ten-minute tonal interpretation of Faune. Other composers who adapted the melodic aspects of Mallarmé’s poetry were Maurice Ravel in Trois poèmes de Stéphane Mallarmé (1913), Darius Milhaud with Chansons bas de Stéphane Mallarmé (1917), and Pierre Boullez, whose hour-long solo soprano and orchestra piece Pli selon pli (1957-62). 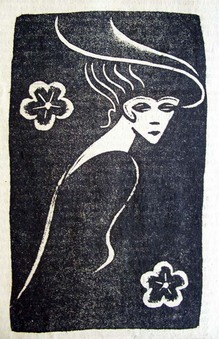 The poem also served as the basis for the ballet L’après-midi d’un faune, choreographed by Vaslav Nijinsky for the Ballets Russes and first performed in the Théâtre du Châtelet in Paris on May 29, 1912. Nijinsky danced the main part himself, which became a seminal moment in the history of dance. Faune also inspired ballets by Jerome Robbins and Tim Rushton. Mallarmé’s poems are notoriously difficult to understand. Proust wrote: “How unfortunate that so gifted a man should become insane every time he takes up the pen.” Here is an excerpt first in the original French and then, in one possible English translation. Ouvrir ma bouche à l’astre efficace des vins ! Couple, adieu ; je vais voir l’ombre que tu devins. to open my mouth to wine’s celestial effect !